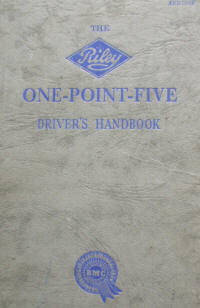 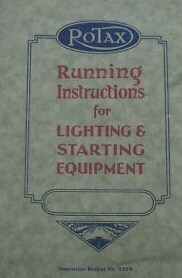 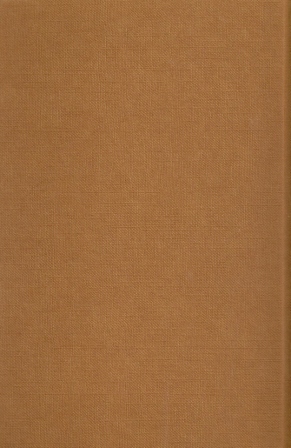 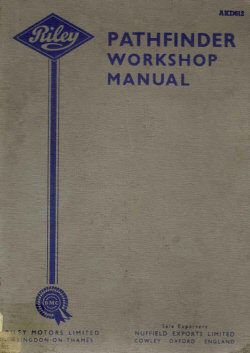 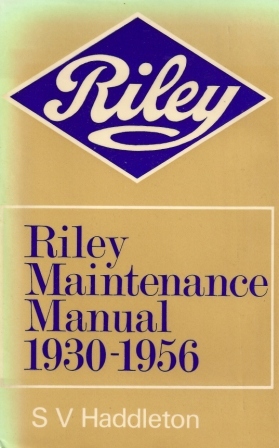 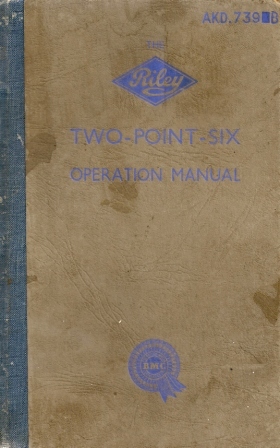 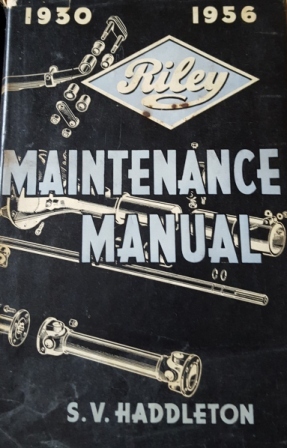 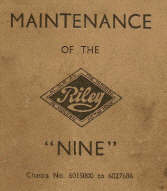 Riley Maintenance Manual 1930-1956 by S V Haddleton, ISBN ref 0845291512, available in 2 editions. 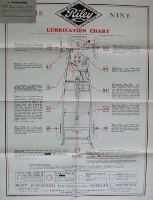 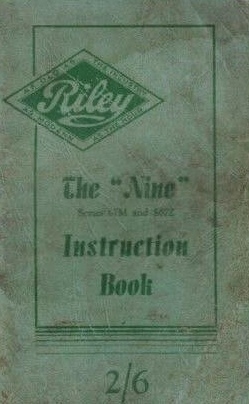 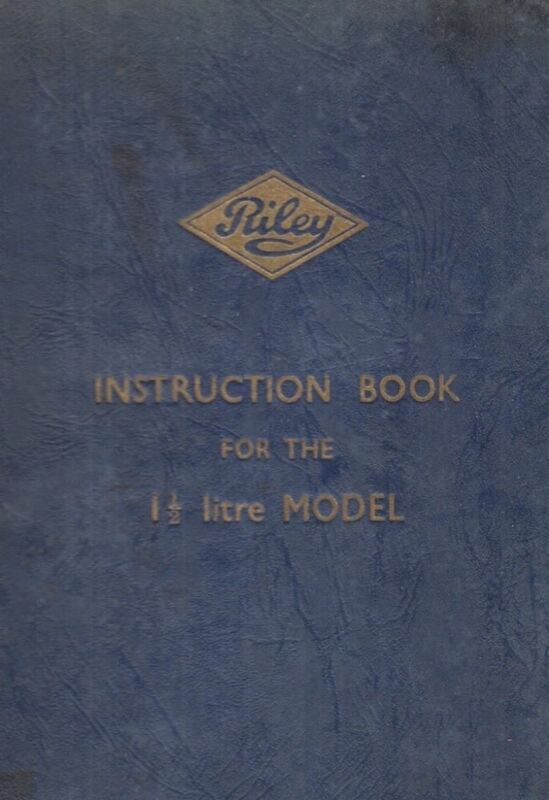 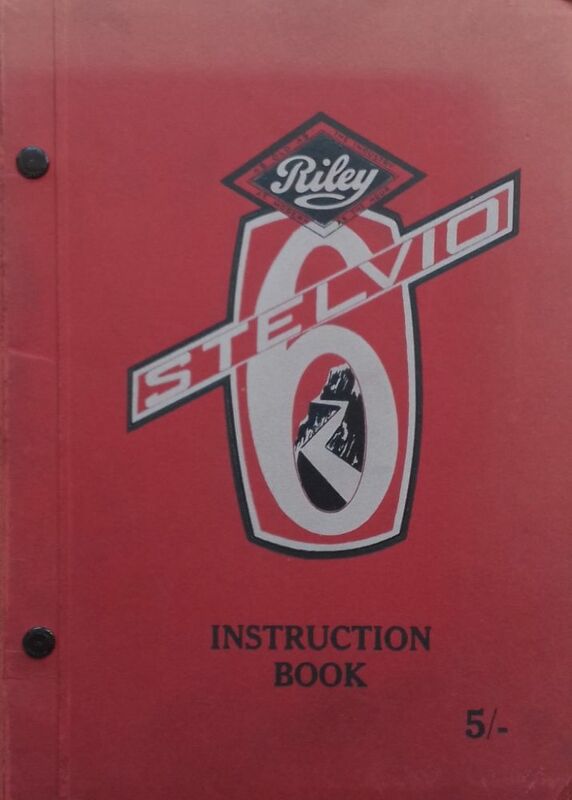 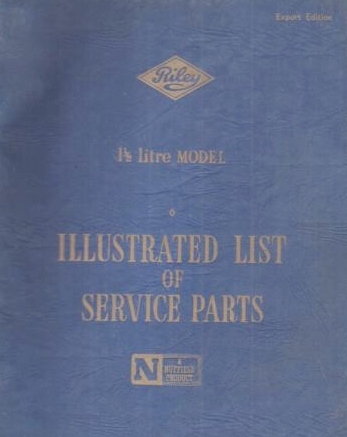 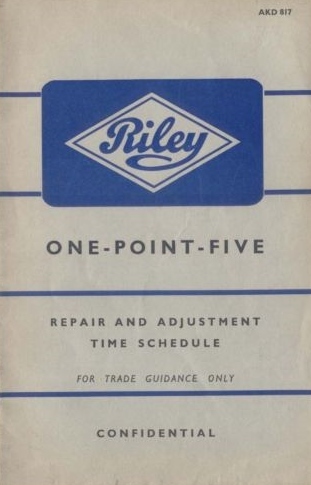 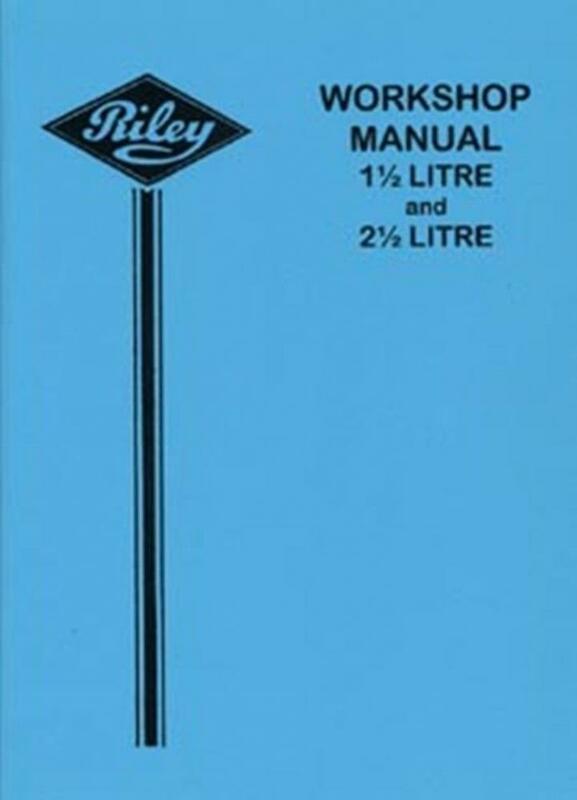 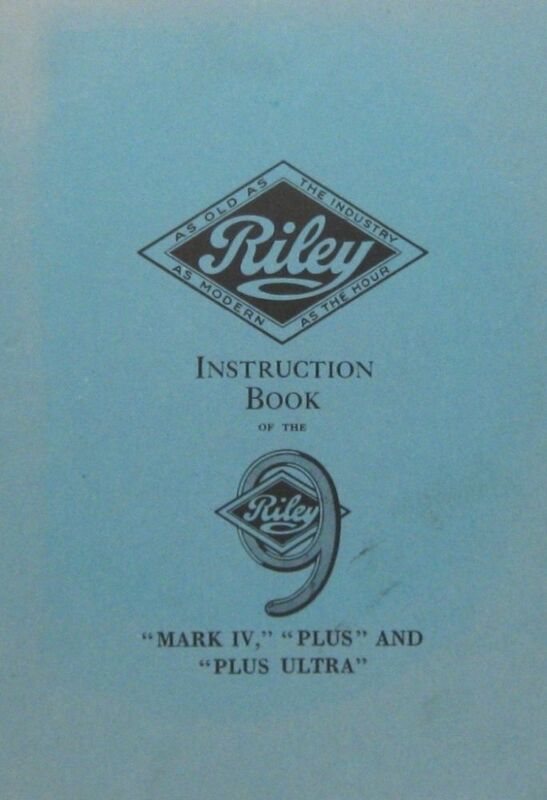 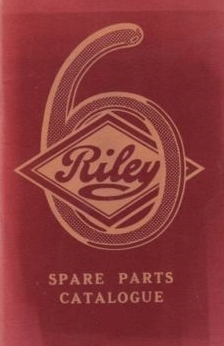 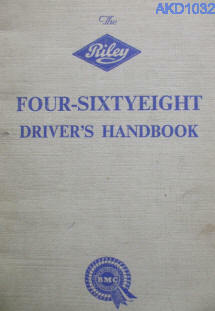 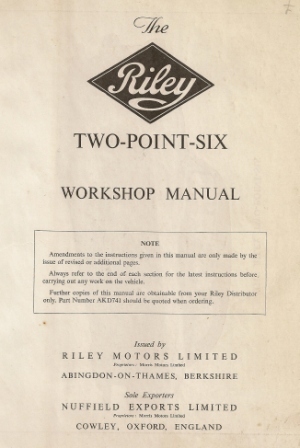 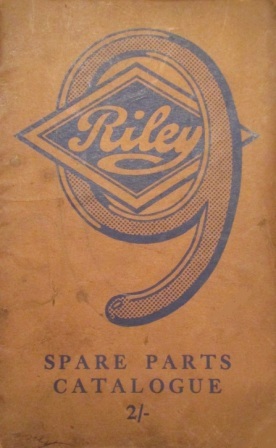 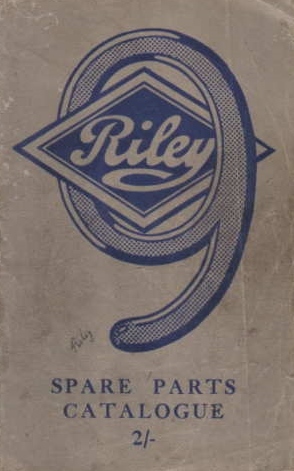 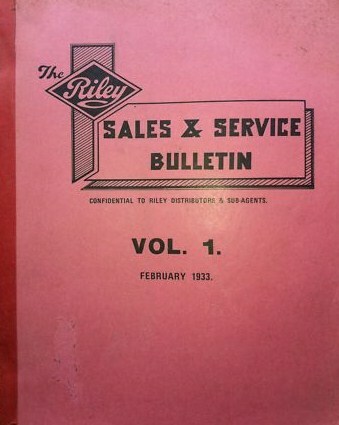 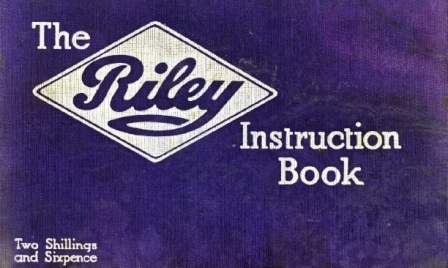 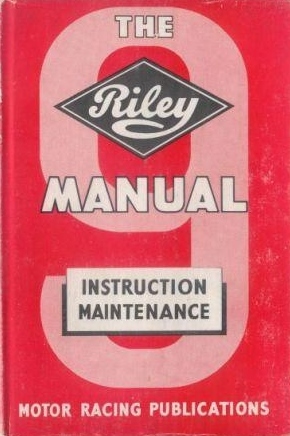 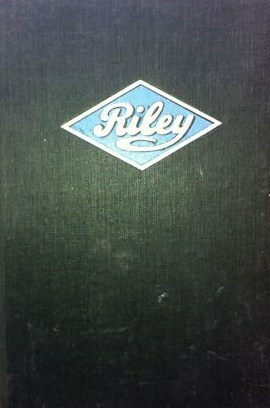 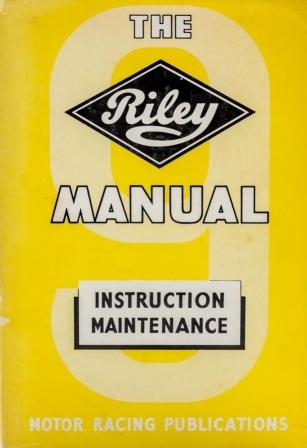 Riley 9 Instruction Books and spares catalogues - issued by Messrs. Riley (Coventry) Ltd. 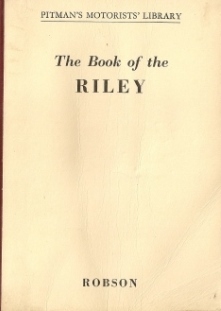 Early editions of the Pitmans book of the Riley, 100 page 1st edition 1933 by R.A.Blake and 2nd edition 1939 by Warren. 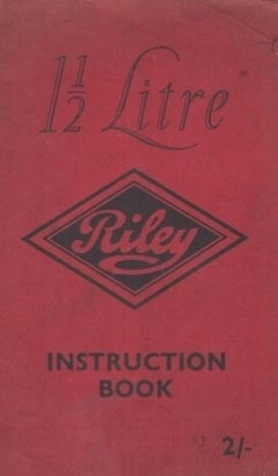 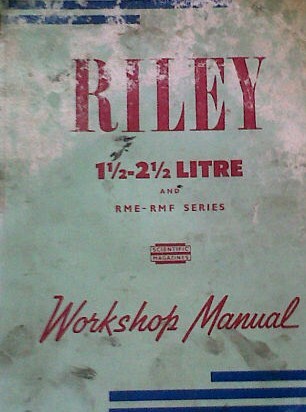 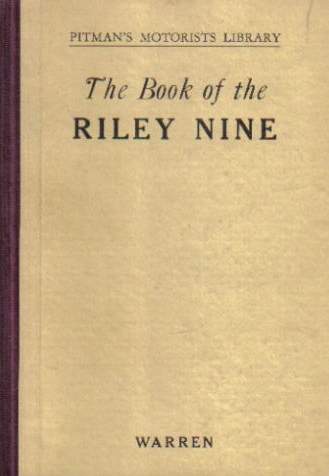 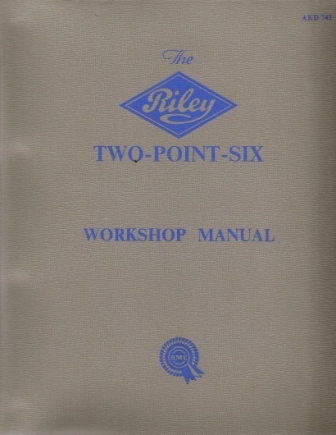 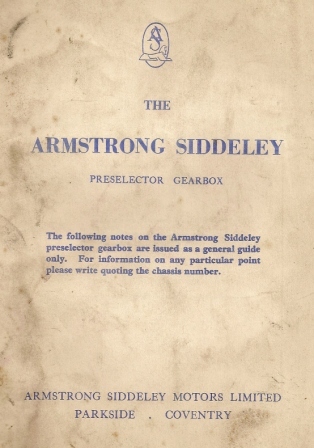 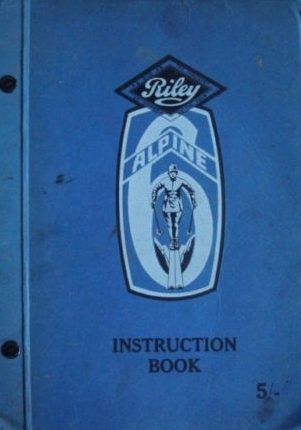 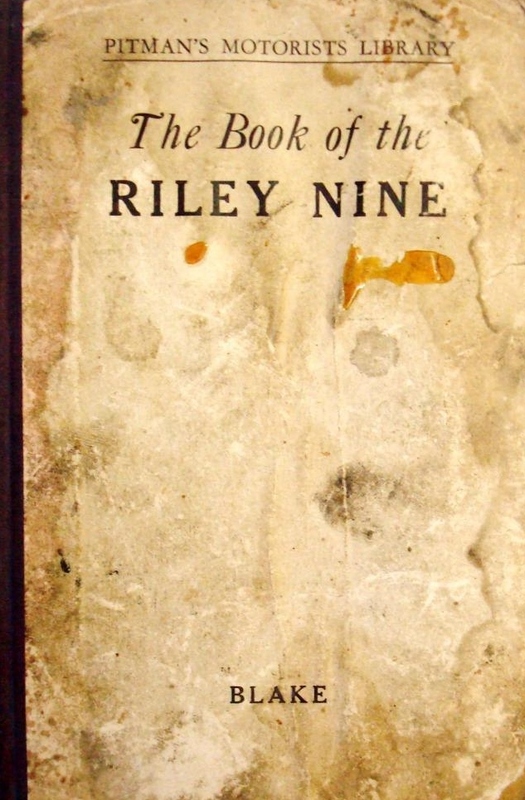 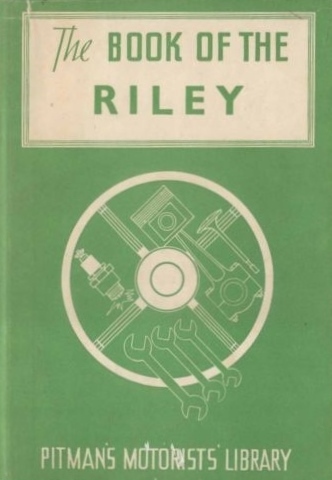 Later versions of the Book of the Riley by J.A.Robson, first published by Sir Isaac Pitman in 1951, described as "A guide to 1.5 and 2.5 litre models and some 12 H.P. 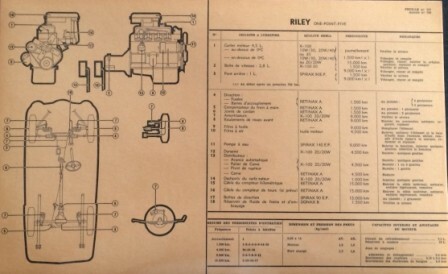 and 16 H.P. 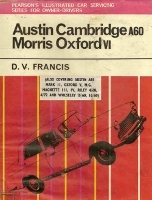 models"
Issue 1 on the left, 3rd edition next then without cover, then yellow dustcover edition unknown and finally with red dustcover 1952 edition. 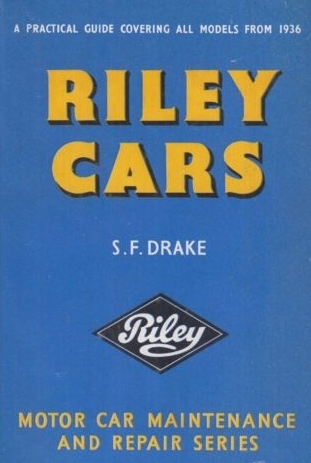 Riley Cars by S.F.Drake published by C.Arthur Pearson, described as "A practical guide covering all models from 1936"
Hornet and Elf Workshop manual AKD4062. 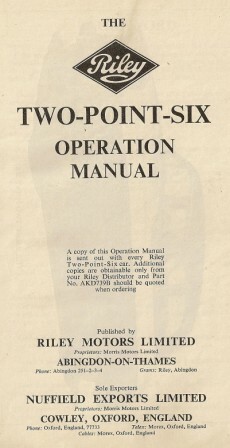 HPSN 492 6502. 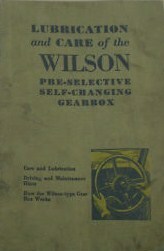 Published in England by The Nuffield Press Limited, Cowley, Oxford.